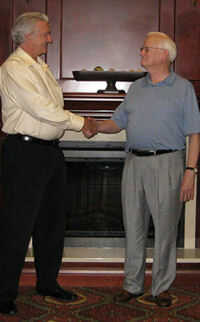 Presidency of The CFA passed from Glenn Chandler to C. M. Chandler (right) at the 2009 Annual Meeting. 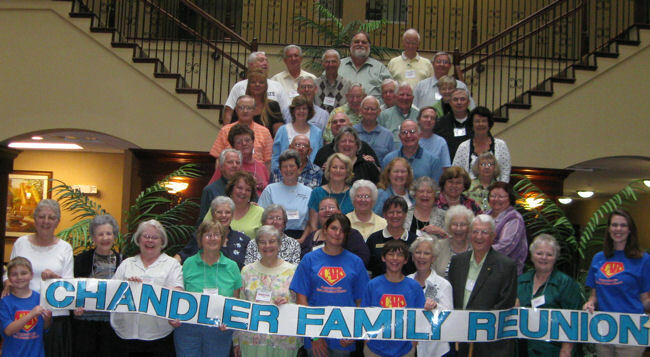 Approximately 60 enthusiastic members, family members, and Chandler researchers gathered at the 2009 annual meeting of The Chandler Family Association in Athens, Georgia. Some folks were only able to attend on Friday, while others came just for Saturday. There were terrific exchanges of information going on both days and new connections made between previously unknown cousins and researchers following similar lineages. Some folks attended just for the pleasure of chatting with fellow Chandlers. Local host Judy Hardegree and her sister Janet Avant made every arrangement possible for our comfort. The Country Inn and Suites was a splendid location, and the staff was very helpful. Catered lunches both days minimized disruptions to the research and took away the need to leave the hotel in the middle of two rainy days. 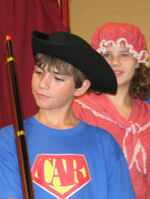 Our group was thoroughly entertained by a patriotic musical puppet show presented by the Allen Howard Society, National Society Children of the American Revolution. Everybody got in the mood and waved American flags during the parade at the end of the show. 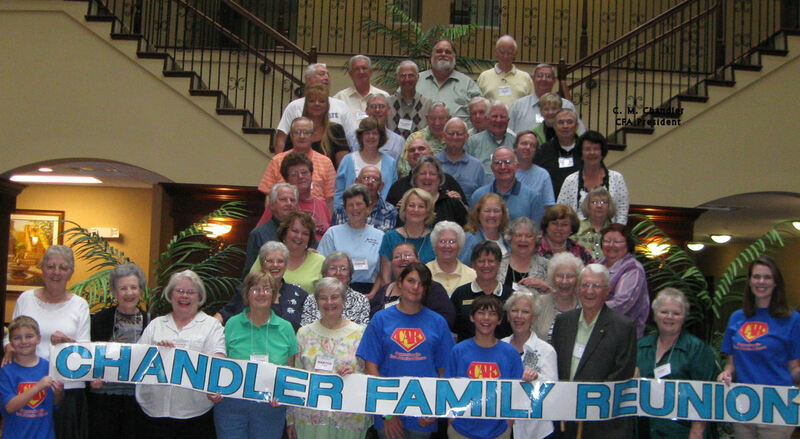 Several members of the CAR group are Chandler descendants and can be seen in our group photo. Photos from the 2009 Annual Meeting were provided by C. M. Chandler, Sharon Parham Maloney, and Claudia Chandler Brocato. If you have some you would like to see included here, send them to Eileen at . Click on the photo below to see a larger version. Saturday, September 19, 10 a.m.